Importance Autologous islet transplantation is an elegant and effective method for preserving euglycemia in patients undergoing near-total or total pancreatectomy for severe chronic pancreatitis. However, few centers worldwide perform this complex procedure, which requires interdisciplinary coordination and access to a sophisticated Food and Drug Administration–licensed islet-isolating facility. Objective To investigate outcomes from a single institutional case series of near-total or total pancreatectomy and autologous islet transplantation using remote islet isolation. Design, Setting, and Participants Retrospective cohort study between March 1, 2007, and December 31, 2013, at tertiary academic referral centers among 9 patients (age range, 13-47 years) with chronic pancreatitis and reduced quality of life after failed medical management. Interventions Pancreas resection, followed by transport to a remote facility for islet isolation using a modified Ricordi technique, with immediate transplantation via portal vein infusion. Main Outcomes and Measures Islet yield, pain assessment, insulin requirement, costs, and transport time. Results Eight of nine patients had successful islet isolation after near-total or total pancreatectomy. Four of six patients with total pancreatectomy had islet yields exceeding 5000 islet equivalents per kilogram of body weight. At 2 months after surgery, all 9 patients had significantly reduced pain or were pain free. Of these patients, 2 did not require insulin, and 1 required low doses. The mean transport cost was $16 527, and the mean transport time was 3½ hours. Conclusions and Relevance Pancreatic resection with autologous islet transplantation for severe chronic pancreatitis is a safe and effective final alternative to ameliorate debilitating pain and to help prevent the development of surgical diabetes. Because many centers lack access to an islet-isolating facility, we describe our experience using a regional 2-center collaboration as a successful model to remotely isolate cells, with outcomes similar to those of larger case series. Chronic pancreatitis (CP) is an inflammatory disease of the pancreas that over time leads to irreversible fibrosis and loss of function. Such repeated and progressive injury commonly manifests with intractable pain, malabsorption, and diabetes mellitus.1,2 During a period of decades, the risk of malignant conversion is up to 50 times greater in patients with CP than in the general population, particularly among those with a history of smoking or hereditary etiology.3 For many, the debilitating abdominal pain often leads to a diminished quality of life due to multiple hospitalizations, invasive interventions, and potential narcotic dependency. Although CP is a prevalent disorder, it can be difficult to diagnose because of its progressive nature and nonspecific symptoms that overlap with many conditions. Epidemiologic data are limited in the United States, but the economic burden of all pancreatitis cases was estimated at $3.7 billion in 2004, with CP-related discharges from hospitals estimated at 8.1 per 100 000 persons.4,5 Excessive alcohol consumption is the most common etiology in the United States; less common causes include hypertriglyceridemia, pancreas divisum, and autoimmune and familial pancreatitis, with known mutations in several genes, including the cystic fibrosis transmembrane receptor (CFTR) (OMIM 602421), trypsin inhibitor (SPINK1) (OMIM 167790), and trypsin 1 gene (PRSS1) (OMIM 276000). Chronic pain is often the most challenging symptom to treat, and its pathogenesis remains poorly defined. Evidence suggests that ductal obstruction via stricture or stones and the concomitant rise of intraductal pressure lead to parenchymal ischemia and neuronal injury that may contribute to pain in pancreatitis.1 Although medical management and pain control are the initial approaches to CP, a subset of patients develop intractable pain that requires more invasive intervention via endoscopy to relieve elevated ductal pressure.6 When such interventions fail, surgical management is often the next logical approach to management. Autologous islet transplantation (AIT) was first described in the 1970s as a method for preserving long-term euglycemia after near-total or TP for CP.8 In a specialized islet-isolating facility, islets are procured from the resected pancreas by enzymatic and mechanical digestion.9 After assessing for quality and quantity, the islet preparation is immediately transplanted to the patient via portal vein infusion. After a period of islet rest and engraftment, islets produce insulin that can reduce episodes of hypoglycemic unawareness and facilitate insulin independence. Despite the effective pain relief and insulin independence reported in many patients after pancreatectomy and AIT,10 few medical centers worldwide offer such treatment options for patients with CP. Possible reasons include the limited access to and cost of maintaining an islet-isolating facility, a lack of consensus regarding indications for and timing of surgical intervention, and the paucity of data on long-term outcomes. At the University of California, Los Angeles (UCLA), we have performed pancreatic resection and AIT on a series of pediatric and adult patients with CP during 7 years. To circumvent the limitation of direct access to an islet-isolating facility, we developed a unique regional collaboration to remotely process islets after pancreas resection. The objectives of this study were to report the results of our case series and collaborative experience and to contribute to the growing body of literature on TP and AIT as a promising strategy to treat patients with unremitting symptoms of pancreatitis. This study was approved by the Committee for Human Research at UCLA. All patients were fully informed of the risks and uncertain efficacy of AIT and provided written consent. Between March 1, 2007, and December 31, 2013, nine patients with a diagnosis of CP were referred to the UCLA Center for Pancreatic Diseases for pancreatic resection and AIT. The diagnosis was made by a history of chronic abdominal pain requiring narcotics, recurrent episodes of acute pancreatitis, and radiographic or endoscopic findings consistent with CP. Medical records were retrospectively reviewed to collect preoperative, operative, posttransplantation, and financial data. Before surgery, patients were evaluated by a local endocrinologist or by the UCLA endocrinology service. Glycated hemoglobin level, fasting C-peptide level, and a metabolic panel were obtained. Patients were evaluated by teams from the UCLA Center for Pancreatic Diseases (B.C., O.J.H., H.A.R., and G.S.L.) and the UCLA transplantation services (G.S.L.). All patients were offered the option of a Whipple procedure or TP and possible AIT. All patients who decided to undergo a Whipple procedure also elected to receive AIT to preserve functional islet tissue. Patients who underwent pancreatic resection received a duodenum-preserving pancreatoduodenectomy or TP with splenectomy by standard technique. Effort was made to maintain arterial perfusion and unimpeded venous outflow from the pancreas for as long as possible. The pancreas was removed from the operating table, and a biopsy specimen was obtained for frozen section analysis. The gastroduodenal artery and splenic artery were flushed, and the pancreas was packaged in 3 sterile layers and transported to the University of California, San Francisco, Islet Preparation Core for islet isolation. On return with the islets, heparin sodium was administered intravenously to the patient. A 14-gauge catheter was placed in the portal vein, and islets were infused at approximately 30-mL intervals, with serial portal venous pressures obtained. After completion of infusion, the catheter was removed, the abdomen was closed in the normal fashion, and the patient was taken to the intensive care unit for monitoring. After resection and perfusion with a cold storage preservation solution (Cold Storage/Purification Stock Solution; Mediatech, Inc), the pancreas was transported via helicopter from the UCLA to Van Nuys Airport, Van Nuys, California, where a regional plane transported the transplant team (D.S.T., N.J.F., E.C., and G.S.L.) and pancreas to San Francisco International Airport. Car service was used for transportation to the University of California, San Francisco, Islet Preparation Core. Return transport to the UCLA was identically used. Samples of digested tissue were periodically obtained and monitored closely to prevent overdigestion. When most of the islets observed in the samples were free of exocrine tissue, the digestion was stopped with cold solution. Tissue digest containing liberated islets and non–islet (acinar) cells was washed, counted, and evaluated for viability, sterility, and endotoxin. The release criteria for infusion was a yield exceeding 10 000 islet equivalents (IE) total. The final pellet was resuspended in 200 mL of transplant media, transferred to an islet infusion bag, and supplemented with heparin sodium (1000-3000 U total) and ciprofloxacin hydrochloride for infusion. Following surgery, patients were placed on an intensive intravenous insulin infusion protocol managed by the UCLA endocrinology service. Blood glucose levels were maintained between 70 and 110 mg/dL for 10 to 14 days to optimize islet engraftment (to convert glucose level to millimoles per liter, multiply by 0.0555). After beginning oral nutrition, patients were placed on subcutaneous prandial short-acting analogue insulin and intravenous insulin. After a period of stable nutrition, patients transitioned to a basal and bolus subcutaneous insulin regimen, and fasting C-peptide levels were obtained. On postoperative day 1, patients underwent liver and portal venous Doppler ultrasonography to evaluate for thrombosis. Patients underwent anticoagulation with intravenous heparin for the first 7 to 10 days after surgery and then transitioned to subcutaneous fractionated heparin for an additional 1 to 2 weeks. For further insulin management after discharge, patients were followed up in the UCLA Endocrinology Clinic or with their local endocrinologist if they lived beyond the local Los Angeles County area. Between 2007 and 2013, nine patients (5 male) with CP underwent a duodenum-preserving Whipple procedure (n = 3) or TP (n = 6), followed by immediate AIT. Their mean (SD) age was 26.7 (13.4 years), and their mean (SD) body mass index (calculated as weight in kilograms divided by height in meters squared) was 21.9 (3.0). The CP etiologies included hereditary, alcohol induced, hypertriglyceridemia, and idiopathic. All 4 patients with hereditary pancreatitis were positive for SPINK1 or PRSS1 mutations, and one patient was positive for both PRSS1 and CFTR mutations. One pediatric patient with hereditary pancreatitis was also positive for type 1 diabetes mellitus autoantibodies (glutamic acid decarboxylase 65 [GAD65], microinsulin autoantibody [MIAA], and islet cell antibody [ICA] antibodies) (Table 1). Before consideration for surgical resection, all patients had multiple documented episodes of acute pancreatitis and had undergone interventional procedures, including endoscopic retrograde cholangiopancreatography with sphincterotomy, endoscopic ultrasonography, biliary and pancreatic stents, and duodenojejunostomy with Roux-en-Y reconstruction. Three of nine patients had evidence of calcifications on computed tomographic imaging. All patients required narcotic medications for pain control (morphine equivalent range, 45-420 mg by mouth as needed daily) and continued to have significantly reduced quality of life. Eight of nine patients had successful islet isolation after a Whipple procedure or TP. One patient with alcohol-induced CP had unsuccessful islet isolation after a Whipple procedure secondary to severe calcifications. The remaining 2 patients undergoing a Whipple procedure had islet yields of less than 1000 IE/kg. Four of six patients with TP had islet yields exceeding 5000 IE/kg, and 2 patients had islet yields of less than 1000 IE/kg. Among 8 patients with successful islet isolation, the follow-up period ranged from 2 months to 7 years. Two patients who had a Whipple procedure never required insulin. Among the patients with TP, 2 were weaned off insulin entirely by the time of the study, and 1 required only low-dose insulin and was being weaned off. All 3 of these patients had postoperative glycated hemoglobin levels of less than 6% of total hemoglobin and fasting C-peptide levels of 0.8 ng/mL or greater (to convert glycated hemoglobin level to proportion of total hemoglobin, multiply by 0.01; to convert C-peptide level to nanomoles per liter, multiply by 0.331). One patient with preoperative pancreatic insufficiency and calcifications on computed tomography had an islet yield of 130 IE/kg and remains insulin dependent. One pediatric patient had documented autoantibodies for type 1 diabetes mellitus and remains insulin dependent, despite an islet yield of 10 364 IE/kg. A third patient with an islet yield of 751 IE/kg also remains insulin dependent (Table 2). No patients experienced significant perioperative complications such as pulmonary embolus, portal venous thrombosis, or significant transaminitis. One patient required percutaneous drainage of an intra-abdominal fluid collection, and one patient required a blood transfusion for anemia and experienced neuropsychiatric disturbances requiring a psychiatry consultation. At the time of the study, all of these patients reportedly had significantly reduced pain or were pain free, and all patients had survived. All 9 patients underwent islet isolation at a remote facility after pancreas resection. The mean (SD) transport cost was $16 527 ($777) (Table 3), and the mean transport time to and from the islet-isolating facility was 3½ hours. No complications occurred as a result of remotely transporting the pancreata. The mean (SD) facility cost for islet isolation was $22 217 ($5212). 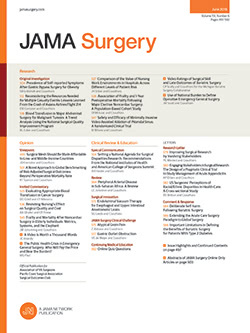 It is estimated that worldwide only approximately 20 specialized centers perform simultaneous pancreatic resection with AIT, making data from case series critical to furthering our understanding of outcomes from this rare procedure.1,16 Recent systematic review1 and meta-analysis16 of available literature report TP and AIT outcomes as heterogeneous and limited. However, series largely report favorable outcomes for pain reduction and rates of insulin independence between 0% and 83%.1,8,16-18 In 2013, the first consensus statement on TP and AIT emphasized the procedure as an effective treatment strategy for select patients who had failed medical management and carried hereditary mutations that posed higher risk of developing ductal adenocarcinoma.2 However, the question of appropriate timing for intervention remains uncertain, particularly when repeated instrumentation risks reducing beta-cell mass and delay can increase pain sensitization.2,19 Altogether, the importance of a multidisciplinary approach to manage the complex dynamic of psychosocial, pain, medical, and surgical factors compels many patients to be referred to centers experienced with such management. At UCLA between 2007 and 2013, we performed a series of 9 pancreas resections with AIT in pediatric and adult patients, most of whom were diagnosed as having idiopathic or hereditary etiology. The main indication for surgical intervention was significant pain that impaired quality of life. To date, 3 patients have achieved complete or partial insulin independence, 3 patients still require a multidose insulin regimen, and 2 patients who received a Whipple procedure never required insulin, likely because of the functional islets in the remaining body and tail of the pancreas, or their outcomes are unknown (but are likely requiring insulin). All patients who underwent TP with complete or partial graft function as indicated by normal fasting C-peptide levels also had glycated hemoglobin levels of less than 6% and original islet yields exceeding 5000 IE/kg. Of the patients undergoing TP who are insulin dependent, 2 of 3 had islet yields of less than 1000 IE/kg, and the third has a strong family history of type 1 diabetes mellitus and tested positive for autoantibodies. All patients with available data to date are reportedly without pain or their pain is substantially reduced. Although a limitation of our series is its small sample size, our results are comparable to those of more prolific centers. At the University of Minnesota, Minneapolis, 32% of 179 patients undergoing TP and AIT achieved complete insulin independence at 12 months after transplantation, 33% achieved partial insulin dependence, and 35% required multidose insulin injections.20 Another large series from Leiceister, England, studied 46 patients undergoing TP and AIT and found that 26% achieved periods of complete insulin independence, while 11% remained completely insulin dependent.21 Unlike at other centers, the authors found no direct relationship between insulin independence and islet equivalents per kilogram of body weight transplanted because one patient after receiving 954 IE/kg remained insulin free for up to 4 years.21 This supports the transplantation of islets even when yields are low. These results reflect a particular challenge to outcomes analysis in patients undergoing TP and AIT. The spectrum of pancreatic disease at presentation, variability in CP etiology, timing of surgery, and a center’s experience with islet processing vary and make analysis of those who may benefit from this procedure difficult. At the inception of our AIT program in 2007, we developed a regional collaboration with the University of California, San Francisco, Islet Preparation Core to immediately isolate islets from the resected pancreata. To our knowledge, this is one of 2 series to describe successful AIT in patients with CP after remote islet isolation between 2 geographically distant transplantation centers.27 The additional cost and time incurred by transport were on average $16 527 and 3½ hours, respectively, and the cost and time for islet processing were on average $22 217 and 2½ hours, respectively. Despite this time added to the overall operative case, no patients experienced significant perioperative complications, and 3 patients continue to have partial or complete insulin independence. Because the cost of developing islet-isolating centers can be prohibitive, we believe that geographically remote islet isolation can be performed with excellent outcomes. Although referral to a center with an islet-isolating facility may be considered, patients may find it more difficult to travel because of a lack of family support or insurance. Future research directions include early identification of patients who would benefit from TP and AIT to preserve islet-cell mass before other endoscopic procedures. Particularly, pediatric patients with hereditary or idiopathic diagnoses and a higher risk of developing ductal adenocarcinoma may benefit from earlier treatment, before pain sensitization.30 Finally, expanding indications for AIT to include patients with other pancreatic disease such as benign neoplasms and fistulas may be forthcoming.31 However, the concern about seeding occult malignancy is ever present and must be further investigated in long-term outcomes studies. Pancreatic resection with AIT for severe CP is a safe and effective final alternative to ameliorate debilitating pain and to help prevent the development of surgical diabetes. It is practiced at only a few specialized centers worldwide because of the need for multidisciplinary coordination and care of these patients. Chronic pancreatitis is marked by difficulty in diagnosis, heterogeneous etiologies, and need for complex pancreatic surgery and access to an experienced islet-isolating facility. However, with the practice of geographically remote islet isolation by means of institutional collaboration, many more patients with CP may have access to and may greatly benefit from this procedure. Accepted for Publication: April 23, 2014. Corresponding Author: Gerald S. Lipshutz, MD, MS, Department of Surgery, David Geffen School of Medicine at the University of California, Los Angeles, Room 77-120, Center for the Health Sciences, Los Angeles, CA 90095 (glipshutz@mednet.ucla.edu). Published Online: December 10, 2014. doi:10.1001/jamasurg.2014.932. Author Contributions: Dr Lipshutz had full access to all the data in the study and takes responsibility for the integrity of the data and the accuracy of the data analysis. Study concept and design: Tai, Szot, Habashy, Clerkin, Hines, Reber, Lipshutz. Acquisition, analysis, or interpretation of data: Tai, Shen, Posselt, Feduska, Core, Busuttil, Lipshutz. Drafting of the manuscript: Tai, Shen, Habashy, Lipshutz. Critical revision of the manuscript for important intellectual content: Tai, Szot, Posselt, Feduska, Clerkin, Core, Busuttil, Hines, Reber, Lipshutz. Administrative, technical, or material support: Tai, Szot, Feduska, Clerkin, Core, Hines, Reber, Lipshutz. Previous Presentation: This study was presented as a poster at the 2014 Annual Meeting of the Pacific Coast Surgical Association; February 15, 2014; Dana Point, California.